Marriage arrangements need to be made at least six months prior to the wedding with Fr. Quang Vinh Chu (714-536-6913, x-109). 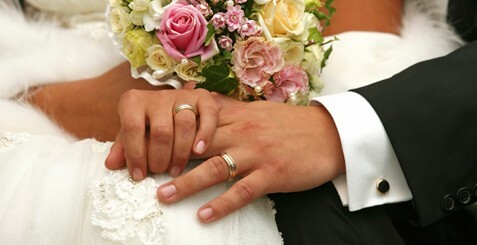 Please read our “WEDDING POLICY” for Church guidelines and procedures before contacting Fr. Quang. After you have scheduled an appointment with him, please print the “ACKNOWLEDGMENT FORM” and, sign it and bring it with you to your first meeting. Thank you for your cooperation. *Please click here for all the options a couple may choose from.